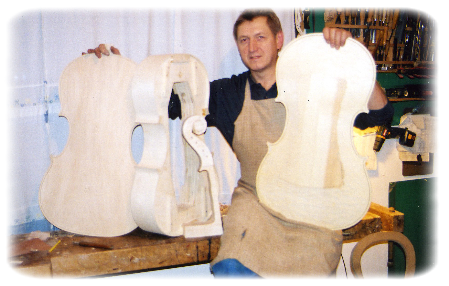 Wladek (Walter) Stopka - Luthier - Violins, violas and cellos. My name is Wladek (Walter) Stopka. I have been a luthier for over 40 years. Born and raised in Poland, I started practicing violin making in 1978 in Krakow Poland in the shop of a very well known Polish Violin Maker. In 1989 I migrated to the U.S. with my family. For the last 30 years I have been making instruments in my own shop located in the Southwest Suburbs of Chicago, IL. My specialty is in the Stradivarius models. I use high quality, old European wood for all my instruments and making my own varnish adds to the quality of finishes which vary from Modern to Antique.